Delivered in May 2018 and offered for immediate sale, EJI offers a unique opportunity to purchase a brand new yacht with full owner's supply and a 12 month warranty. Having completed her shake down cruise and with a little over 500 hours on her main engines she is available for immediate delivery. EJI is part of the highly successful Amels Limited Edition 180 series with timeless exterior lines by Tim Heywood and elegant and contemporary interior design by Laura Sessa. 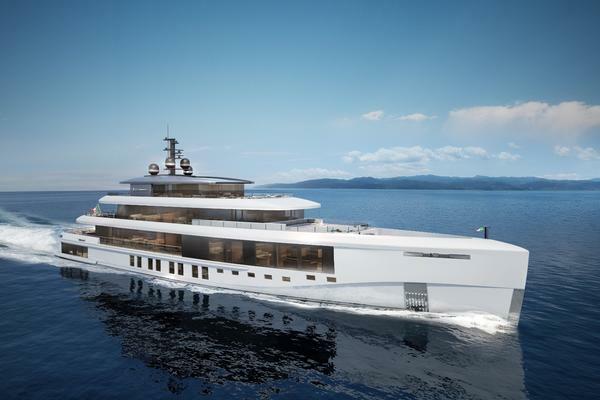 She features six cabins accommodating 12 guests including a full beam owner's suite featuring a study, en suite bathroom, walk in wardrobe with dressing table and a private folding balcony. The spacious and bright guest accommodation consists of three en suite double cabins and two en suite twin cabins. There is a light and airy 'al fresco' theme to the interior of the yacht created by large saloon and lounge windows and the ability to fully open port and starboard doors amidships on to folding balconies. 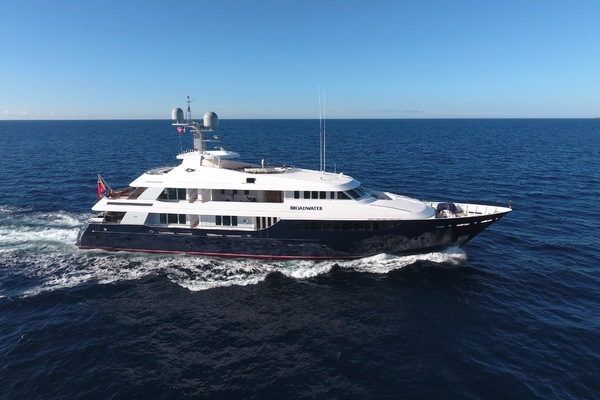 EJI has one of the most expansive sundecks in her class, including sunbeds, dining area, separate seating area, large 3,000 litre jacuzzi and the option of a touch and go helicopter pad. On the main deck forward, there is an intimate and protected seating area, perfect for a sunset cocktail. On the lower deck she has a generous swimming platform with hydraulically controlled underwater steps and a spacious beach club with sauna and steam shower. In addition to her stunning looks and optimised layout, she is a stable and capable yacht with extremely low noise and vibration tolerance, excellent sea-keeping ability and a transatlantic range.